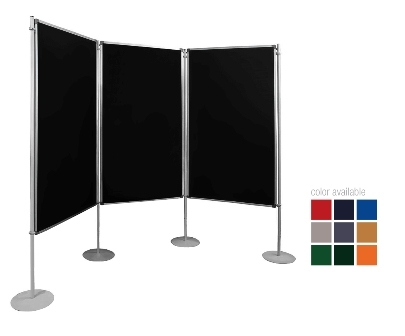 Folding Panels trade show and exhibition display systems are very popular portable display backwalls. Quick and easy to set up. 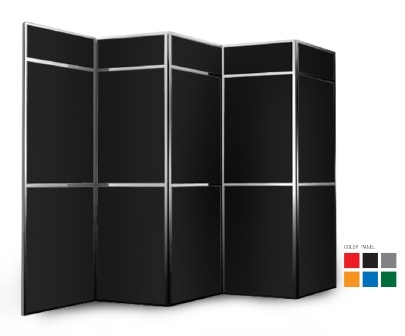 They are widely used in trade shows, in-store displays ( point of Sale), conventions and sport and political events to create an attractive high impact backdrop. 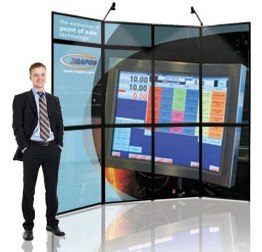 We guarantee high impact display that will enable you to present your products and services in the most professional manners with the high impact. 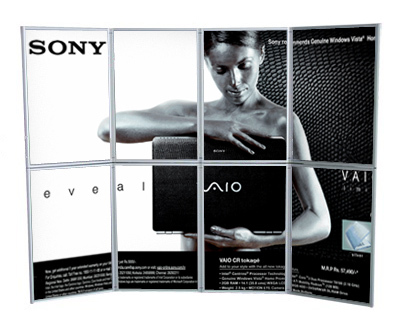 The main advantages of our Folding Panels displays system is the ease with which they can be setup and taken down. 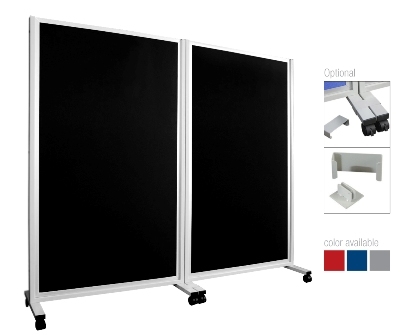 Our Folding Panels display can be assembled by one person within 5-8 minutes. 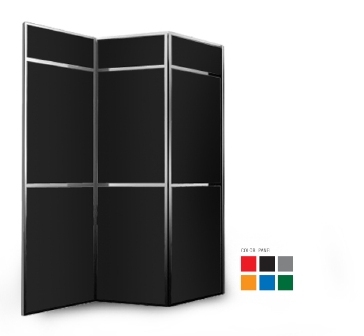 The Folding Panels display provides outstanding quality at an affordable price, the panels are modular so the system it is very flexible and can be extended with as many column to create the display as wide as require and with a header panel for different height requirements. 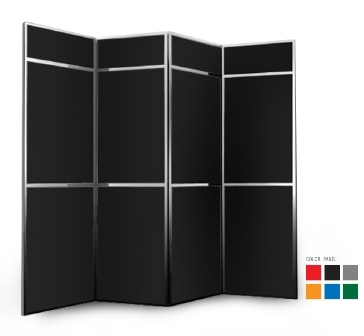 The panel system, when assembled, can be position to the shape of your booth.